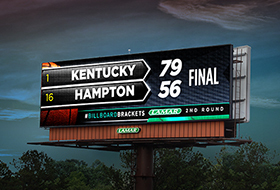 Baton Rouge, Louisiana – Wednesday, April 1, 2015 - Lamar Advertising Company (Nasdaq: “LAMR”) will release its first quarter ended March 31, 2015 earnings report before the market opens Wednesday, May 6, 2015. Lamar will host a conference call on Wednesday, May 6, 2015 at 8:00 a.m. (central time) to discuss the Company’s results and answer questions relating to company operations. 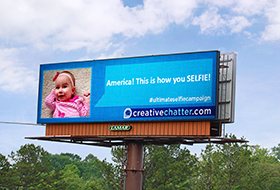 Creative Chatter Communities, a 501(c) (3) nonprofit, is launching an Ultimate Selfie Campaign in partnership with Lamar Advertising Company. Anyone can simply go to creativechatter.com and upload their selfie and a brief message, after making a $25 donation. The selfie will then display on digital billboard space donated by Lamar in more than 45 cities around the country from Los Angeles to New York.